Virginia foreclosure law is heavily slanted away from homeowners, and is considered one of the harshest in the nation. In Virginia, if your home goes into foreclosure you may have as little as 2 weeks before your home is eligible for resale. This is obviously terrifying for most individuals, which is why it is important to seek experienced foreclosure defense preemptively – And quickly. Sadly, people normally feel very alone in the process of foreclosure, and it is easy to fall into despair. Seeking legal help is often far from the first reaction, but timely representation can make all the difference. Of course, foreclosure defense is especially important when faced with a fast-approaching date of sale, but each instance of foreclosure is different, and will require differing strategies and courses of action. Regardless of the time to foreclosure, homeowners have options for their defense in the situation that can prevent the loss of their home. Representation is also important for those that wish to avoid foreclosure without filing for bankruptcy. While filing for bankruptcy will put a stop to immediate foreclosure action, there are a host of problems that come with bankruptcy that can be avoided with proper defense. To elaborate on the benefits, chapter 7 bankruptcy will put a hold on foreclosure (note this is a hold, not a permanent solution), and chapter 13 will put a stop to foreclosure contingent upon future mortgage payments. With these do come the present and future cost of bankruptcy, which can be significant. Foreclosure does not have to simply end with the choice of losing your home or declaring bankruptcy. Many homeowners that work with a proper foreclosure defense team can, in many cases, negotiate a payment solution that avoids this outcome. Remember, banks want you to make mortgage payments, as that payment guarantees the loan is being utilized and the interest upon it is paid. Foreclosure to a bank is a sort of ‘cut your losses’ strategy, and it almost never yields the same return for them in the long run as a homeowner continuing to make some sort of payment. A skilled real estate attorney can, in many cases, negotiate with the bank to find a mutually beneficial solution: you keep your home, they keep the loan. Obviously there is some compromise necessary from both parties to make this work. Typically, better representation leads to a negotiation more heavily slanted in your favor. This can be as good, or better, for many homeowners as bankruptcy, without the harsh ramifications that come with bankruptcy filing. 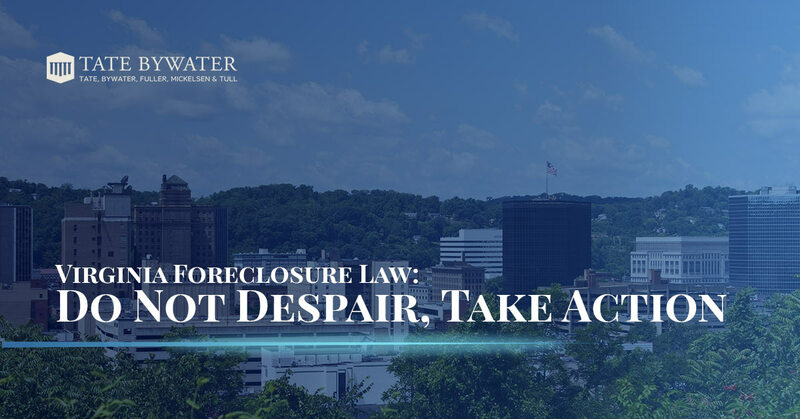 Foreclosure is humiliating and frustrating for the families involved, and our lawyers are proud to defend families from the isolation of foreclosure in the Vienna, and Greater Fairfax/Prince William County area, with swift and decisive action. If you are in foreclosure, or fear that you will become so, please contact us today for proper counsel and representation.